You can’t place a monetary value on a healthy, beautiful smile, but at Young Family & Cosmetic Dentistry in Joplin, that doesn’t mean the cost of your dental care will break the bank. Instead, we believe that every patient should have access to effective, affordable preventive and restorative dental care. We use high quality materials and treatment methods while still keeping our pricing within the average range for the area. Processing dental insurance claims is just one more way that we make your dental care affordable. In addition to filing claims for the majority of providers, we are also in-network with a number of popular plans, including Cigna. If you have coverage through Cigna or any other dental insurance provider, be sure to tell one of our team members when you call to schedule your first appointment. We’ll do our best to start maximizing your coverage from the first visit. Dental insurance, like other forms of insurance, requires patients to pay a monthly premium. In exchange, you’ll receive coverage for a percentage of the cost of specified treatments. 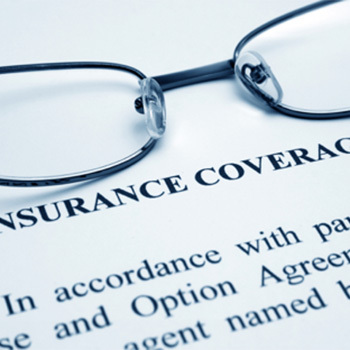 In most cases, the insurer sets maximums for the covered price of each treatment and for the annual amount they will pay out. Each Cigna plan is different, and we’ll review your individual policy and provide accurate estimates before we begin your treatment. In most cases, your Cigna plan will provide 80 to 100% coverage for preventive dental services, including checkups and teeth cleanings. Minor restoration options like fillings are covered 70 to 80%. More advanced restorative dentistry solutions like dental crowns receive 50 to 70% coverage. While you can receive coverage for treatments at just about any dental office, visiting our in-network practice ensures you’ll have the lowest possible out of pocket treatment costs. This is because we’ve agreed to treatment pricing that falls within Cigna’s set maximum fees. Out of network dentists, may charge prices higher than these maximums, but you’ll have to make up the difference in cost out of pocket. 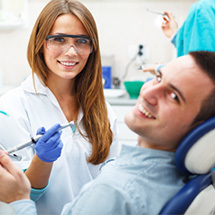 In addition to ensuring the lowest out of pocket costs, in-network dentists also have more knowledge of individual policies and better relationships with the insurer. This means we can offer more accurate estimates of treatment costs, and in most cases, we hear back from Cigna more quickly when we file preapproval requests. When you call our Joplin dental office for help with your dental insurance policy, you’ll want to ask for Lori. She has years of experience helping patients understand their dental benefits, plan for the costs of dental care, and keep their budgets in tact! Don’t hesitate to call or talk to Lori during your dental office visits. She’s always happy to help.